I am sorry , I hate Hippocratic oath ! 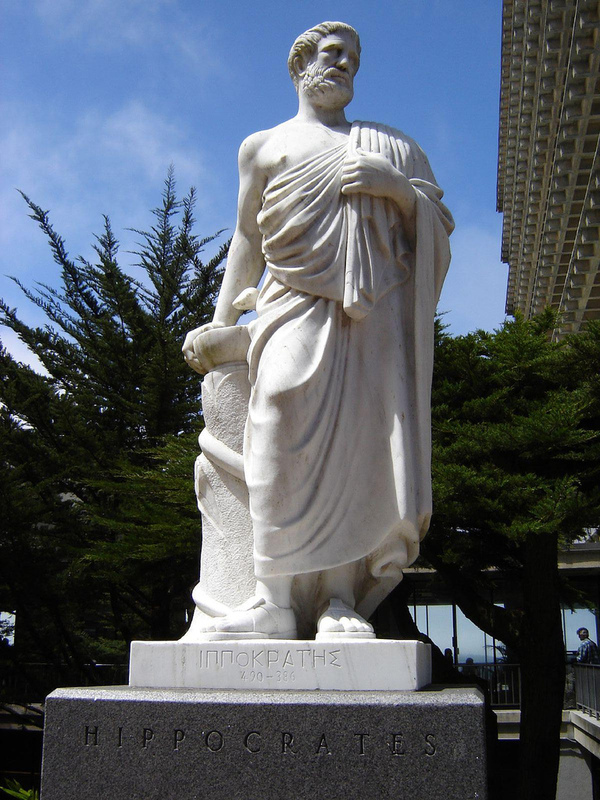 Hippocrates is bestowed with the Immortal tag “Father of Medicine”, not because he invented any miraculous gene therapy or a modern virtual imaging of human organs, nor did he found any magic drugs .He didn’t receive a single award even from his local village, forget about any Nobel prize to him ! Mind you , he lived before Christ ,2ooo years ago , there was nothing in the hands of noble professionals, not even a piece of paper and pencil to note down patient’s symptom .They didn’t even know what organs human body contained no basic medical tests . They just had a pair of hand, working brain with six senses , strong will to work hard and most importantly a caring mind and a constant search for answers to lingering scientific queries . Yes, Hippocrates is still holding the post of father of medicine because he was the first human to propagate thought that human diseases are not evil forces beyond our control, it may have scientific basis , every disease has a specific cause that arise from derangement of body function. More important than this , he formulated a way to practice this profession in a dignified manner. 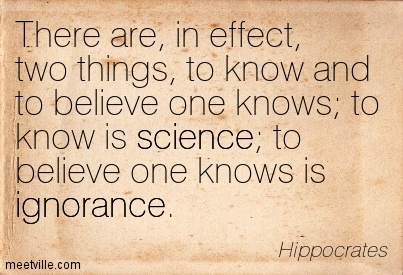 He also predicted common sense may prevail over science in innumerable instances. Going through his quotes , one could wonder , he probably predicted technology might hijack human Intellect as well ! Now,we have every thing. Students read medicine in animated 3D class rooms , physicians get a deluge of body system data & images beamed straight into their ipad . One can perform complex interventions with ease in almost every organ or even replace it , if it doesn’t work . Still , as on 2017 ,there is something huge , that is missing in the Noble profession when compared to ancient days (2 millenniums before!) when people thronged Hippocrates clinic in the remote Koss Island of Greece, where he used to sit with almost nothing , but was able to offer definite cure for many . What is that missing link ? Without realizing what it is, we enter the Noble profession and fervently take the customary Hipocratic oath . For many (or most ?) of us it is amusing to read and practice that. Life has moved in fast lane since then. It is a tragic truth , Hippocratic oath have become redundant , obsolete .or outright humiliating for few ! It’s ok . . . here is a “Doctor’s life maintenance” manual : Keep reading it periodically ! British General medial council , has done a wonderful job . It has published a practical life maintenance and behavioral guide for doctors which I feel is most important text to be read periodically and of course followed ! What ails modern medicine ? When “Nonsense” masquerade as scientific data . . . should “sense” has to leave quietly by back door ?! We have been using unfractioned Heparin for long , and its is better than any other anticoagulants in ACS . . .
Our observation shows that Streptokinase has distinct advanatge over Tenektepelase as it works longer duration . . .
My experience says Diuretic and beta blockers are still good as first line therapy for Hypertension . . . Mind you , there are infinite number of such wisdom in every sub specialty of medical field. However , the typical response from any modern scientific intellect would be . . .
Stop it . . . Its old stuff folk , What does the current data say ? Is there data backing up your treatment modality ? Is there sufficient data ? Come’on , grow up , don’t talk about experience in a scientific forum . . . come out with data man ! No one seem to care the quality of the data . Every one bothers about the quality of the Author and Journal instead . if its X Y Z its ok If its A B C no its not acceptable data. 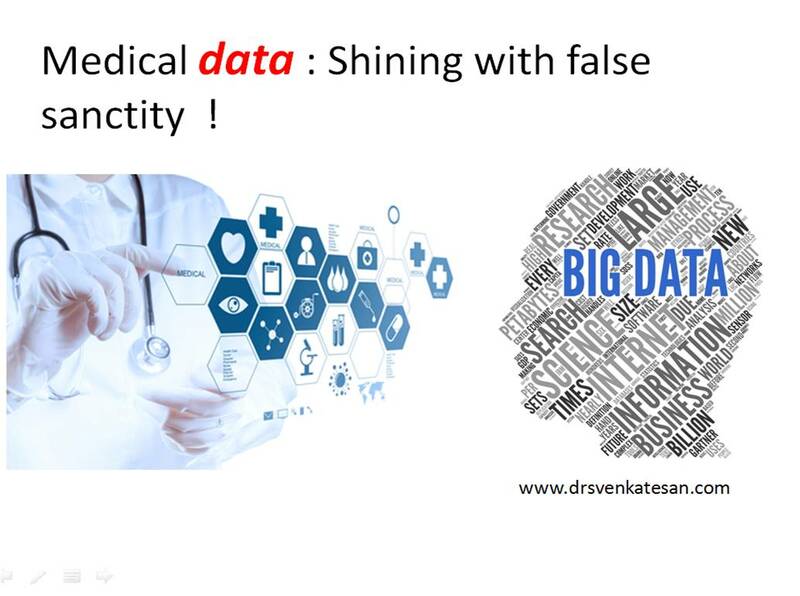 Probably , Data is most misused word in medical science. By the way what do we mean by data ? OMG, give us back that elusive Common sense . . . which I think we lost some time at the turn of this millennium ! Wrong or useless data : Who will recall ? Once applied to patient , these data is to be scrutinized and monitored . If we find a study conclusion and reality does not match , we need to stall the data from adversely exploding .Every stake holder should have the power to do it. There have been instances a treatment modality got banished in one country is legally permitted in other country knowing fully well the futility. When does “good common sense” become hard data and evidence ? *Please note, data is not a bad word as this write-up seem to suggest.Naturally occurring , epidemiological and observational data about diseases are the foundations for medical science .The issue become murky when few motivated humans play brutal games at the sensitive interface between science and truth. It should be acknowledged , there is a distinct risk of this fight against falsehood end up in blocking true progress of science . Still , Homo sapiens are (believed to be !) intelligent enough to differentiate good from bad , that’s the reason God gave us the sixth sense ! 1.Vinay Prasad, Adam Cifu, John Ioannidis Reversals of Established Medical PracticesEvidence to Abandon Ship JAMA. 2012;307(1):37-38. 2.Vinay Prasad Adam Cifu Interventions that were tried in vain . Cardiovasc Diagn Ther. 2013 Dec; 3(4): 228–235. 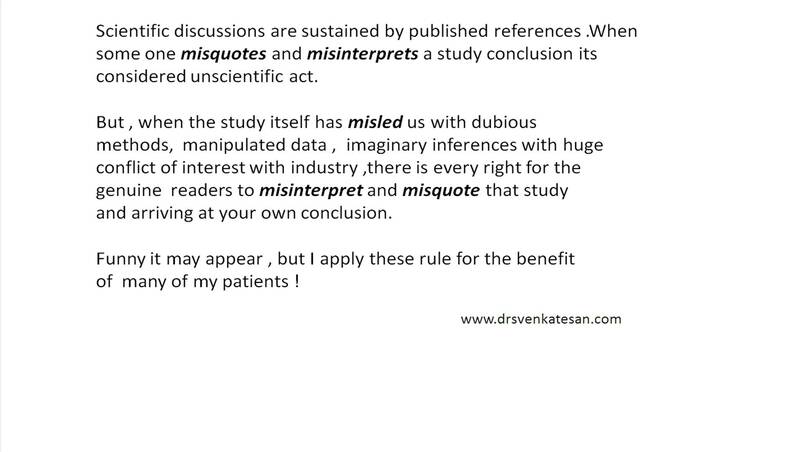 Is misinterpreting scientific papers an Academic crime ? No, its not, I do it often ! 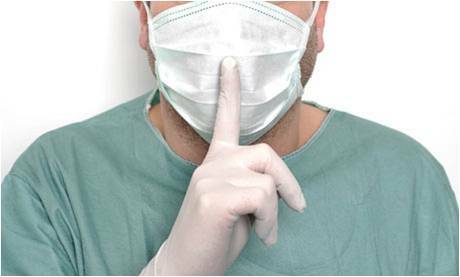 What ails the “Noble” profession ?… Is it the “erring” medical Intellect ! 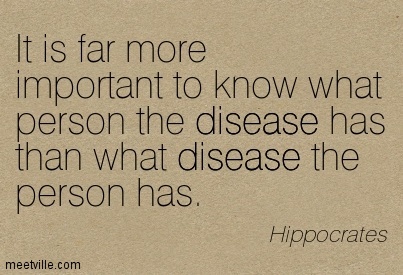 Medical Ignorance : Just Ignore it . . . move on , lets live the moment ! It is believed (assumed ? ), medical science is propelled by constant quest for knowledge and improvement in basic and clinical science that eventually would transform into better patient care and favorably impact global health standards. We know the field of medicine is growing in an unimaginable pace.It’s obvious any growth if uncontrolled or not properly guided is at risk of deviation from the main goal and ultimately turn malignant and destroy the system which it’s supposed to guard. Still ,this is what we call as practicing ” State of the art medicine” How about a person who defies state of the art , and able to fore- see the futility which is threatening to be the norm in modern medicine. Then,who is really Ignorant ? I stumbled upon this wonderful writing on this issue by ex BMJ editor by Richard Smith. Mind you , this was published way back in 1992, when the boom of futile ” Human Health shopping” was just about to explode ! Don’t get confused .Noble professionals are licensed to practice with whatever is published as science as long as their intentions are deemed to be genuine .Harm arising out of practicing what’s considered best as on today is acceptable in the court of law. Meanwhile , its a tragic truth, If you do not follow the herd , you are at risk of being punished even for goodness committed by you. Wisdom and conscience can never win a legal battle ! If you have the courage try practice them ! I am confused sir , what is the hierarchy of medical advisories ? Please be reminded all of the above can be rejected outright ! Finally , realise Individual decisions based on sound scientific understanding with zero non academic intrusions will be revered forever ! *Caution : If you think you haven’t yet reached that the level of individuality , come what may , you are expected follow these advisories which are primarily aimed at providing quality care and you will be pardoned of any adversaries as well !